I cycled behind WonderWoman through Old Street today. The cars had to drive on the other side of the road to avoid touching her billowing cape, and I thought she had decent control given her enormous platforms and the deep potholes which the council have dug out especially to keep us all on our toes. Well done WonderWoman. 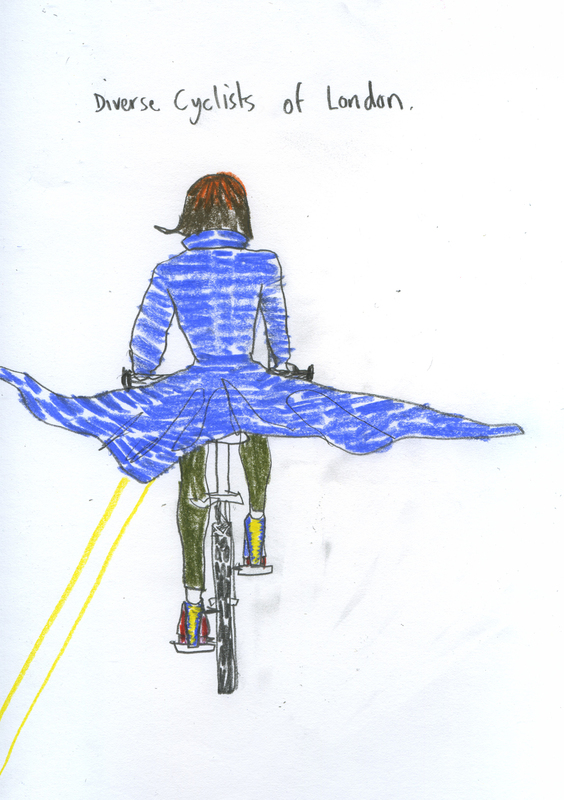 This entry was posted in cyclists, opinion, Trendy and tagged Cyclists, Fashion and That, humour, illustration, Laura Quick, london, satire, Wonder Woman. Bookmark the permalink.